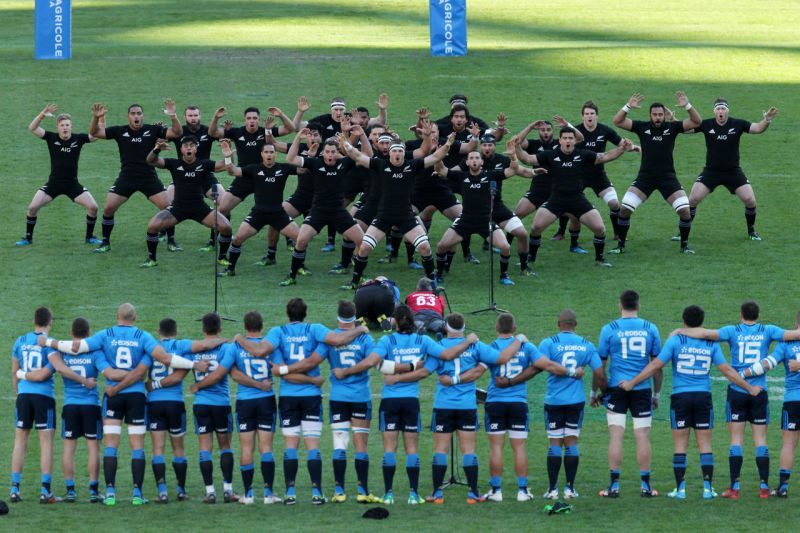 The Azzurri face reigning rugby world champions New Zealand in Rome on 24 November. 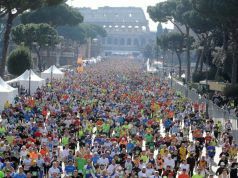 The public in Rome is lucky to witness some of the best names in world sport competing in the Eternal City. 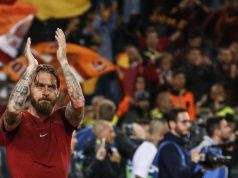 From Roger Federer and Rafael Nadal at the Italian Open Tennis, to Usain Bolt and Justin Gatlin running at the Diamond League athletics, Chris Froome and Peter Sagan cycling in the Giro D’Italia, not to mention the footballing greats who have taken to the turf at the Stadio Olimpico. This winter, rugby union supporters will get their chance to see New Zealand's All Blacks, the reigning world champions, bring their considerable might to battle against Italy at the Stadio Olimpico on 24 November (with kick-off at 15.00) as part of the annual autumn internationals when a string of fixtures bringing the best rugby teams of the southern hemisphere to the north. The All Blacks, famous for their pre-match Haka, the traditional war dance, as well as their brilliance at mobilising an oval ball, provide the toughest challenge in world rugby. Italy knows that more than most; in 13 official test matches against the All Blacks, and with only one match recognised as a full international, the Azzurri have yet to taste victory. 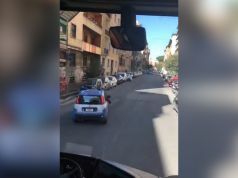 The Italian crowd will be hoping it is a case of 15th time lucky – in a match that will double as a precursor to the two teams’ scheduled meeting in the group stages of the 2019 World Cup in Japan. 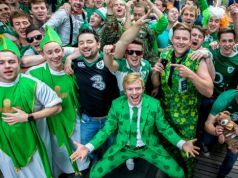 More important than a win, Conor O’Shea, the Irish coach of the Italian team, will want to see a strong performance from his squad following a disappointing Six Nations Championship – where the Italians finished bottom without a win to their name. 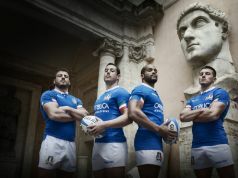 The match will be Italy’s fourth and final game of this year’s string of autumn international fixtures. 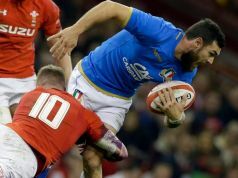 As usual in recent years, the Italian team is using the autumn internationals to showcase rugby across the country and abroad – unlike during the Six Nations where all the matches in Italy are played in Rome. O’Shea first took his side to the US to take on Ireland in Chicago on 3 November (with the Irish beating Italy 54-7) before returning to Italy seven days later to play upcoming rugby nation Georgia in Florence where the Azzurri pulled off an impressive 28-17 victory. Eyes were locked on the result and performance of the Georgia match, given recent clamour across Europe for the Georgians to replace Italy in the Six Nations Championship – a decision which would devastate the Italians. Italy then met Australia in Padua on 17 November but were beaten 26-7 by the former world champions. Having finished this year’s Six Nations Championship at the bottom of the table without a win in five matches, Italy will have fingers crossed for a change in fortunes against the elite teams in world rugby, but especially against New Zealand, the 2015 World Cup winners. In its previous meetings, Italy has failed to score more than 21 points in a single match against the All Blacks – and that was as far back as the 1991 World Cup. In contrast, New Zealand, often regarded as the world's most exciting team as well as the most efficient, has run up 754 points against the Azzurri at a jaw-dropping average of 58 points per game. Italian captain Sergio Parisse halted by the New Zealand defence in 2016. Photos courtesy Federazione Italiana Rugby. In its previous meeting, also staged at the Stadio Olimpico in November 2016, New Zealand came out winners by a scoreline of 68 points to 10. The only other time the teams have met at the Olympic venue was in 2012 when the All Blacks completed a 42-10 rout. Despite the historical statistics, Italy, which is still considered a relative newcomer on the international stage, can harbour ambitions based on an upturn of form under impressive coach O’Shea. 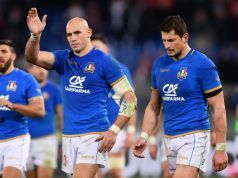 Even without a victory in the 2018 Six Nations, with imperious captain Sergio Parisse leading the way on the field, the Azzurri produced a number of highly competitive performances and came within two minutes of beating Scotland in its final game of the championships in Rome – eventually losing 29-27 in a heartbreaking defeat. It was this performance by a young team – including star full-back Matteo Minozzi who was nominated for player of the tournament – that has given O’Shea plenty of encouragement. "We're coming!" exclaimed the Irishman, who has now been in charge of the Azzurri for two years. “It doesn't happen overnight, but I think people can now see we're beginning to galvanise some good young players." That positivity was backed up on a June tour of imminent World Cup hosts Japan with two promising performances. O’Shea’s side bounced back from a 34-17 defeat in the opening game to win its first match of 2018 with a final result of 25-22 in Kobe. 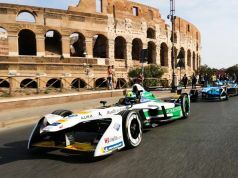 And there is further evidence of the Italian team's progress, despite a record of only four wins from 22 tests. The nation’s under 20s side finished among the top eight in the World Cup in 2017, ahead of established big players Argentina and Ireland. And the same side recorded its most successful tournament for more than a decade in this year’s junior Six Nations – ending the tournament with a comprehensive win over Scotland. The autumn internationals have been a source of happy returns in past seasons too. Last year the Azzurri edged out Fiji in Catania, and in 2016 the Italian team produced arguably its finest performance in history to beat South Africa 20-18 in Florence. Edoardo Padovani on the attack against New Zealand in 2016. The New Zealand match will be the first autumn international test match to be played in Rome since 2013, so tickets for the showpiece will be sought keenly. 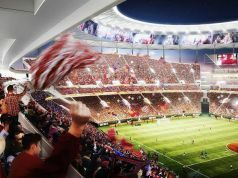 As usual with the Stadio Olimpico, ticket prices vary depending on the vantage point in the stadium. On the official Italy rugby ticketing website, prices for the All Blacks game range from €30 in the Curva Sud and Curva Nord of the stadium. A top of the range ticket in the Tribuna Monte Mario Top would cost €90. Discounts are offered for under 16s and over 65s with tickets ranging from €24 in the Curva segments, to €72 in the Tribuna Monte Mario Top (see Wanted in Rome's special discounted ticket offer). 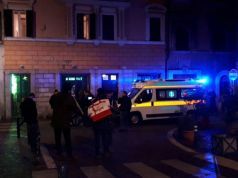 For those unable to go to watch Italy’s match against the All Blacks, the Azzurri will return to Rome next February for the 2019 Six Nations. 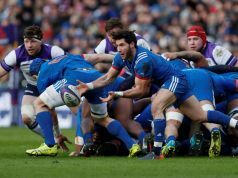 Italy will face Wales at Stadio Olimpico on 9 February, one week after starting the tournament against Scotland at Murrayfield in Edinburgh. 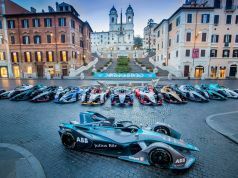 Ireland, the 2018 champions, will then head to Rome on 24 February and the battle for the Giuseppe Garibaldi Trophy against France will bring the curtain down on the competition on 16 March. Italy has also recently announced its warm-up matches leading up to next year’s World Cup. The Azzurri will play Ireland in Dublin on 10 August before meeting Russia at home on 17 August. Trips to France (30 August) and England (6 September) will finalise the Italians' preparations before their first Pool C game in Japan against Namibia on 22 September. 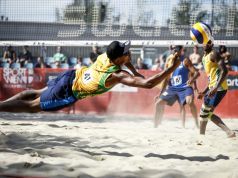 Italy is also scheduled to meet a repechage winner – in which eliminated contestants have another chance to qualify for the next round – on 26 September, before a showdown with South Africa on 4 October and then the clash against New Zealand on 12 October. For full details see Italian Rugby Federation website, www.federugby.it. This article was published in the November 2018 edition of Wanted in Rome magazine.